Majesty Hand Knotted Jute Rug, 9.6" x 13.6"
Plush feel and bright, bold color palette. 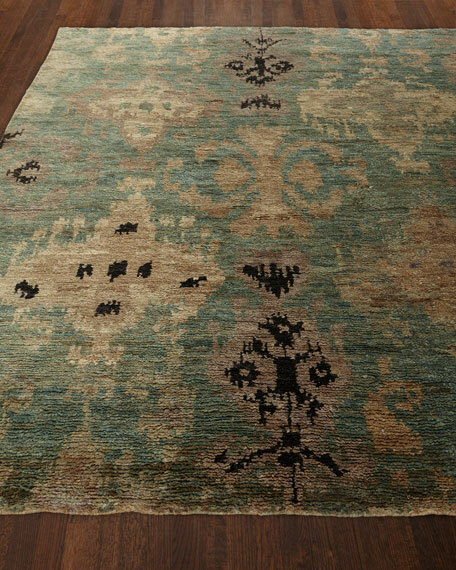 Hand knotted with 100% jute from India, Large scale IKAT design offers sophistication that works as an incredible centerpiece for a variety of room settings. Rug hand knotted of jute.